State# 93.615.0100. 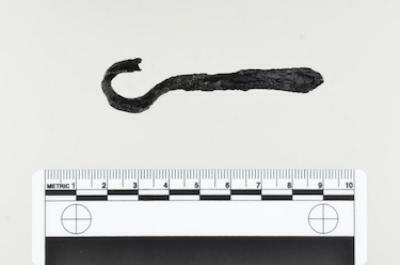 Shackle loop fragment with 2 shackle fragments, a shackle bolt, and flat piece similar to barrel hoop fragment (see also 2000.02.0108a, b, d, e). Small, child size.